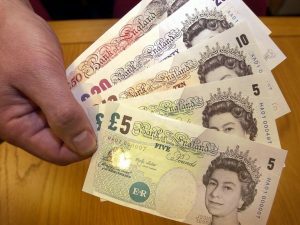 Are you looking for the best place to buy Pounds or you have British Pounds and wish to exchange it? Contact First Currency Exchange now. Regardless of the amount of GBP that you have (small or large amount), come straight to us, and you would go back with a smile on your face. We are a leading company in the business, and we ensure that our rates are some of the best available every time. Therefore, do not look elsewhere when you want to exchange your GBP or other currencies. Our rates are some of the topmost best, and we deliver top notched services. Come to us and have your GBP exchanged without any hassles. It is our company’s policy to make customers’ experience and satisfaction our highest priority. We aim at nothing less than 100% customer’s satisfaction always. With your multiple currencies, you can count on us to get the most competitive rates for all of them; that is why you need to make us your one-stop foreign exchange provider. Rest assured; any time you use First Currency Exchange to convert your currencies, you will not be charged any commissions, although most banks and companies will charge you a percentage commission for using their services and this will have an impact on the profit you get from your money. With us, all your worries are over because the price you see is what you get; there is no fees or charges. Foreign exchange has never been this easy! Contact us today and have a firsthand experience of what we have to offer. We monitor the updates in the rates, and we provide the best services you can imagine. Make First Currency Exchange your foreign exchange provider today and enjoy the best value at no cost. Forward you inquiries to us and we would be glad to hear from you.